Located to the north-east of Bangkok, Khon Kaen is one of 4 major cities comprising the “big four of Isan”. As the capital of the Khon Kaen District, the city is a hub for education, finance and trade. Renowned for its exquisite silk trade, other attractions include Wat Nong Wang Temple, Prasat Pueai Noi Ruins and many national parks. Cheap flights to Khon Kaen are now available for a limited time only, so book your flight today and prepare to be amazed at the tropical landscapes and vibrant Thai culture of this city! Khon Kaen is home to Khon Kaen Airport (KKC), a 20-minute drive from the city centre. 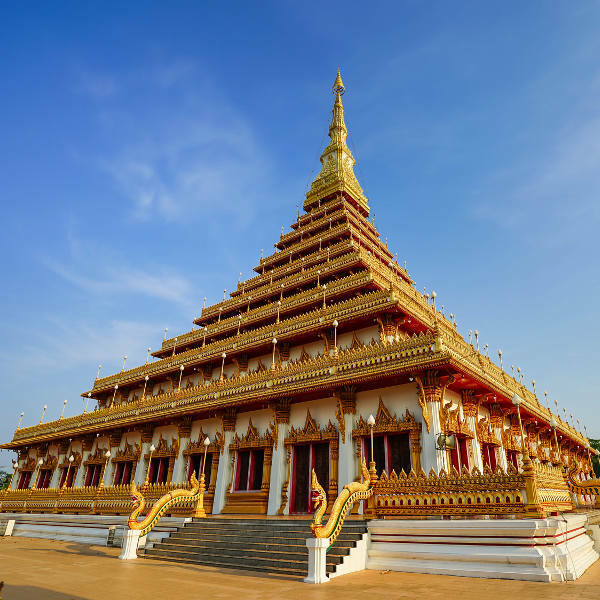 Discover the ancient history of the Thai people in the sacred temples of Wat Nong Wang and Wat Thung Setthi, archaeological masterpieces just to look at, adorned in gold and incense. 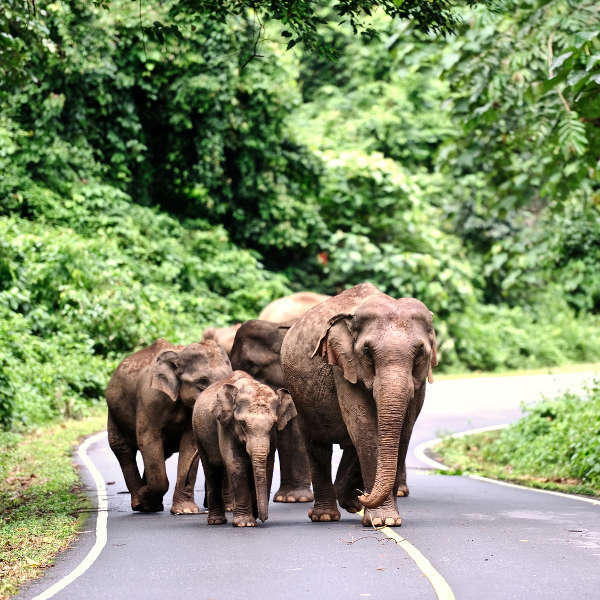 The surrounding national parks are a nature-lover’s paradise with lush jungles, cave paintings and wildlife to explore. Turtle Village is a sanctuary for the local Tao Phek turtle species. 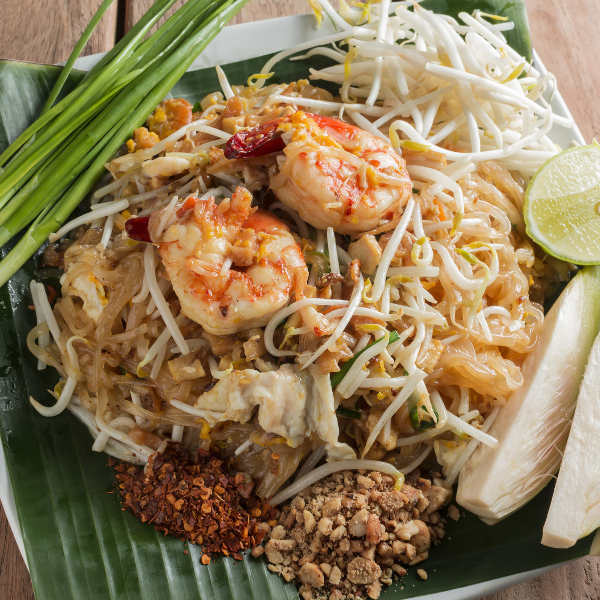 Anyone who loves Thai food will tell you – the hotter, the better! Using fresh herbs and ground spices, let the locals whip up some of the tastiest dishes at the local markets and restaurants. The ideal time to visit this intriguing city is between November and March when temperatures are pleasantly hot and rainfall is at a minimum. The hottest month is April and soaring temperatures can be a little uncomfortable. If you’re looking for some respite from the heat, go in the rainy season, occurring between May and September. You’ll definitely need an umbrella and may not get around to all the sightseeing but the cooler temperatures from the rain will bring a little relief to the dry humidity. If you find yourself visiting towards the end of November, you can catch the parades and festive performances of the Khon Kaen Silk Festival. Located in the north-eastern part of Thailand, Khon Kaen is famous for its exquisite silk and is the export centre for trade throughout the Indo-China region. The city is relatively new, as it was only established just over 200 years ago. Today Khon Kaen is a popular tourist destination, home to a variety of touristic sights, including fascinating historical and archaeological landmarks, animal parks and nature reserves. Mudmee Silk is a trademark of Khon Kaen and you can see how this magnificent silk is produced and hand-woven. The city offers a unique blend of modern and old world customs, so don’t be surprised to find orange-robed Buddhist monks rubbing shoulders with well-dressed businessmen and women, or water buffalo in the bustling city traffic. Explore the iconic Buddhist temples as well as the Khon Kaen National Museum, which contains an array of antique pottery, precious artworks and archaeological finds from the region. For entertainment, you can rent a paddle boat, go shopping in the lively night market or relax at Bung Kaen lake. Phu Khlao-Phu Phan Kham National Park is a popular destination, with its picturesque mountain ranges, lush forests and waterfalls. In the park, you’ll find Pla Hai Cave and Wat Praphuttabat Phu Khlao, decorated with prehistoric paintings. Compare several airlines and book your cheap flights to Khon Kaen online at Travelstart! Khon Kaen is a very safe and relaxed city. Violent crimes are nearly unheard of and tourists are warmly welcomed by locals. This lesser-travelled part of Thailand is not a popular tourist stop and foreigners tend to generate much interest among locals. Dress modestly and avoid flaunting flashy jewellery and equipment. Exercise general caution and alertness and do not leave belongings unattended. Taxis and tuk-tuks are perfectly safe to travel in, just make sure you agree on a fair price beforehand. There are no mandatory vaccinations, but travellers are advised to be immunized against Hepatitis A and Tetanus, due to possible contact with contaminated food and water. Be extra careful when eating street food - if it’s not properly cooked, don’t eat it. Only drink boiled or bottled water and avoid ice in drinks.